Safari Trip are separated to be 2 Parts of Emotion; Jungle River and Green Mountain aesthetic Mood. To touch the aesthetic of Jungle River, The trip put the Bamboo Rafting along the River in the Package. And the package includes "Mountain Exploring Sok Mountain by Jungle Walk program." This can make you get the Mountain Jungle aesthetic mood. Moreover, to full fill the Safari Aesthetic Mood, the package sets up the Tree Top House for overnight. This make you get the Safari@Night Emotion Mood. We are 100% sure this package can fulfill every one's safari emotion mood - Both the original or starter safari lovers. We very recommend you that "Please see the highlight pictures and read the program carefully before summit the booking". By this package is emphasized at the Safari Emotion, So we understand that all the customer is a kind of the people who had been falling in love the Jungle Aesthetic. 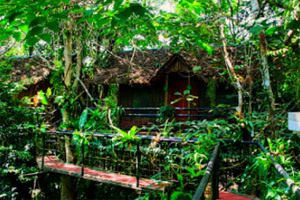 So the Accomodation for overnight is the special place -Tarzan House on the Tree Top. However, the comfortable facilities of the resort is fully equipped, to make sure that you will never miss hope with this "Safari Emotion Mood Package." Bamboo Rafting Route is on the River which is flowing pass the Jungle. By this trip route make the guest gets real feeling of Safari Discovery and keep "Jungle Aesthetic Mood"
Jungle Walk from Sok National Park into the thick Safari, The Safari nature is all around you, that makes a great feeling of Jungle Emotion Mood. 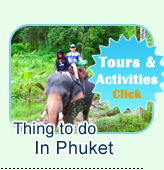 Elephant Trekking: At the biggest national park of Asia - Khaosok National Park. The nature of the safari is so completed and beautiful. The Jungle Aesthetic is on the Top Level, by Jungle Elephant Trekking. The Sight Seeing Phang Nga Bay View is very beautiful, The lunch on the second day of this trip will serve Thai Food Lunch with a great View of Phang Nga Bay on the Hill. 06:00 AM: Pick up from hotel in Krabi. 08:00 AM: Pick up from hotel in Khao Lak. 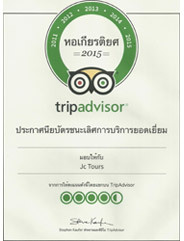 The Top VIP Minibus from Jc.Tour pick you up from hotel, Comfortable drive to the biggest national park of Asia - Khoa Sok. Start to do at the first activity concerns Safari Emotion Mood, Bamboo Rafting along the River which is passing the Tropical Safari. Lunch served at the restaurant of Boutique Camp. One more time Safari Discovery by Elephant Trekking. Check In at Tree Top House Hotel - Being Tarzan. Free time walking out to see Small Mutual Safari Road. Or stay in the room on the tree to hear the safari sound: Nigh Safari Emotion Mood. Do the "Jungle Walk into the Safari. 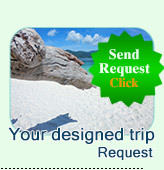 Check Out and leave the resort. Visit the Wild Center - See a hundred of wild animal those are being on the rehabilitation Processes. Lunch served on the "Hill Restaurant with a nice view of Phang Nga Bay. 17:00 PM: Arrival your hotel. Top VIP Minibus Land Transfer. The River Safari "Bamboo Rafting Emotion"
The Elephant Trekking "Discover the Safari Emotion"
The Jungle Walk "The Safari Explore Emotion"
Lunch at Boutique Camp "Mountain Jungle Best View Emotion. Dinner at the Hotel amid the Safari. Breakfast at the Resort amid the Mountain Fog. Lunch on the Top Hill Restaurant: The Emotion of 180 Degree Overviews. Accommodation for Safari Aesthetic Mood : Overnight as a Tarzan on the Tree Top House.